UPDATE: On Monday, 2/12, the Senate Natural Resources Committee discussed SB270, the state parks logging bill. During the meeting, the original bill opening all our state parks to commercial logging was replaced with a substitute. The substitute bill still allows commercial logging in Watoga State Park, during what it calls a “pilot program”. What Changes in the Committee Substitute for Senate Bill 270? The Committee Substitute restricts the commercial logging originally proposed in SB 270 to a three year “pilot program” in Watoga State Park. Any forest management and commercial timber sales are to be used to address forest health, wildlife diversity, wildfire risk, and expand recreational access. What does not change in the Committee Substitute for Senate Bill 270? The bill still changes the purpose the state park system from “preserving” our natural and cultural heritage to “maintaining” it, opening the door for commercial logging and other fundamental shifts in the state park mission and management. The bill keeps the 16” diameter at breast height minimum for harvestable trees. The bill still has vague definitions for the tracts eligible for logging and time limits placed on harvesting. We don’t know if the 4 trees per acre average is annual or in perpetuity. Why will you continue opposition to Senate Bill 270 and the Committee Substitute? A pilot program still subjects the forests of our state parks to commercial logging and provides a “foot in the door” and precedent for more logging in parks. Even the lowest estimates from DNR will result in the harvest of many thousands of large, mature trees over three years. These 100 year old trees cannot simply be replaced at the end of the pilot. Additionally, the stated goals of the management plan proposed in the committee substitute for Watoga have been repeatedly debunked by professional foresters and park management professionals. With a minimum harvest diameter this bill could actually jeopardize forest health by taking the largest and healthiest trees. These big trees provide important habitat and food for wildlife and best resist wildfires. The vast majority of wildfires are caused by people. There are better ways to protect West Virginians from wildfire than logging our parks. By logging our mature temperate forests, we will likely increase the risk of wildfire. In the past 80 years we’ve built over 800 miles of trails in state parks without commercial logging. If new trails are needed to increase visitor access then we’ve demonstrated that there are at least 20 other ways that DNR can pay for them. It is more expensive to reclaim logging roads into trails than to just build new trails. It’s been repeatedly pointed out that not all species benefit from the habitat managements suggested by this bill. DNR’s own research suggests that rare songbirds like the cerulean warbler are harmed by logging and forest fragmentation. We already have over 400,000 acres of loggable state land to create habitat for those species that are helped by early successional forests. Watoga isn’t a logging laboratory, it’s state park cherished by Mountaineers and our out-of-state visitors and home to mature forest and native wildlife. We have hundreds of thousands of acres of state managed land where logging is already allowed available for the purposes of a pilot program on wildlife diversity or a new tourist attraction. Calvin Price State Forest is literally right next door to Watoga; they share a common boundary. The state also has 91 wildlife management areas. We shouldn’t risk the “wild and wonderful” qualities of our largest state park. West Virginians have spoken decisively on this issue and we don’t want commercial logging in our state parks PERIOD. What does Senate Bill 270 (and House Bill 4182) do? It amends WV Code to change the purpose of state parks from “preserving” to “maintaining” scenic, aesthetic, scientific, cultural, archaeological or historical values or natural wonders, or providing public recreation. This small change specifically opens the door to timber sales, previously prohibited in state parks. SB270 authorizes implementation of a “Sound Silvicultural Management Plan” for state park lands. This plan is written by the Director of DNR, the Director of Forestry and the applicable state park superintendent. It authorizes timber sales on state parks lands with the proceeds to be used for maintaining, improving, and operating state parks. It says that timber harvesting shall not exceed the average of four trees per acre per tract nor more than one half of the merchantable timber volume of the acre. Only trees with a circumference of at least sixteen inches based on the diameter at breast height may be harvested. SB 270 gives DNR the ability to establish certain rules to prevent additional harm to state lands and protect the public interests. Why does the Governor want to log state parks? Senate Bill 270 does not explain the goals of “sound silvicultural management” other than the plan can be used to raise money for state parks. The plan as explained in the media and meetings with DNR and DOF is to sell veneer quality public trees to finance a 20-year, $50 million bond. This bond will be used to address the state park infrastructure backlog so that the Governor can substantially increase tourism. Interpretation of “sound” management is up for debate and left for the Director of DNR and the Director of Forestry to decide. Forest health, wildlife, clean water, and recreation are not mentioned as requirements of the management plan in the bill. SB 270 changes the purpose of WV state parks away from preservation and opens the door for commercial logging. The limited “protections” offered in SB 270 are poorly defined and ill-conceived. Does the 4-trees-per-acre average include trees lost to logging road and landing construction? Is it an annual limit or a lifetime limit? What does “generally not used by the public” mean in the definition for a tract eligible for logging? Does the presence of hiking trails indicate public use and protect those areas from logging? Leaving the details out of this bill to sort out later in rulemaking, after it becomes lawful to log WV state parks, could be problematic. Governor Justice’s recent executive order placing a moratorium on new regulations and rulemaking could even make it impossible to put such rules in place. With a bill of this impact on publicly owned lands, DNR and DOF should put more time and effort into a collaborative and public process. We agree that state parks need additional funding and want to work with the Governor and Legislature on solutions other than commercial logging. What state parks would be impacted? The bill makes no distinction among state parks, so all parks could be impacted. There is great diversity among our state park system from historic mansions on the Ohio River to old growth hemlock trees in the high mountains. The individual size of our state parks also varies widely from 4 acres at Fairfax Stone and Tu-Endie-Wei to 10,000 acres at Watoga. It is likely that our largest and our most “Wild and Wonderful” parks like Watoga, Holly River, Canaan Valley, and Cacapon could bear the brunt of the impact. Because of the way DNR defined the “tracts” eligible for harvest, the larger parks will have more acreage deemed suitable for commercial logging and a larger number of acres available for keeping to the “average” harvest of four trees per acre. But nothing in the bill prohibits the logging of the largest stand of old growth hemlock left in the state at Cathedral State Park either. At 133 acres, DNR could harvest over 400 old growth hemlocks. How much do we have to log to pay for the planned bond? DNR and DOF have not released any estimates of actual revenue generation. The value of each species is variable, the board feet in a mature tree varies widely, and estimating the value of veneer quality trees also varies greatly (up to a factor of nine). Determining the real worth of a tree usually can’t occur until after it’s cut and by then it’s too late for our parks. Supply and demand suggests that committing to a 20-year bond financed by logging could actually lower market prices. Based on our calculations, if we logged 25% of our state park acreage West Virginia would not make enough to cover the $50 million bond. And that’s before reducing revenue for planning, overhead, and reclamation of the logging site. Even at the highest estimates, state parks bring more money to WV through tourism and recreation in one year that we would ever get from logging our parks. In conversations with the Governor’s proponents of the bill, forest health has been brought up as additional justification of what is a revenue generating plan to fund a $50 million bond for state park maintenance. As far as forest health is concerned, by establishing a minimum harvest diameter SB 270 encourages “high-grading,” a process where the best and biggest trees are the only ones cut, leaving smaller and less desirable trees behind. DOF mentioned specifically that “veneer quality” trees would be harvested, as these are the most valuable trees. It is harvest technique frowned upon in sustainable forestry and jeopardizes forest health in the long term by removing the best trees per acre. Nothing in the bill addresses real threats to forest health like climate change, invasive species, disease, or pests. And cutting the trees is only part of the impact of this bill. Modern logging requires an extensive network of logging roads and landings where trees are collected and cut. This network of roads is somewhat independent of the number of trees cut per acre and may actually need to be larger to meet the average tree-per-acre requirements. Logging roads compact soil and can increase runoff and erosion, leading to sedimentation in nearby streams. Remediation is expensive. Early successional forest is important habitat for many species. But it’s equally clear that other species do not benefit from early successional forest and need large tracts of unfragmented mature timber to thrive. We need to set habitat aside for those species as well, and the opportunity to conserve large tracts of forestland for a natural secession, mature forest habitat type are increasingly rare. Including state parks, only 4% of all West Virginia forestland and 16% of state managed public land is off-limits to logging. Early successional forest can be created on the DNR’s wildlife management areas, and at 390,000 acres represent five times the acreage of our state parks. Logging is not the only way to create habitat. If early successional forest was truly needed on state parks, it could be obtained through properly managed prescribed burning. Furthermore, a mature forest will have natural disturbance (fire, windthrow, landslide, old trees fall, etc) that create canopy openings without any human involvement whatsoever. That’s how the forests of Appalachia evolved for millions of years, naturally supporting populations of game species long before human-imposed forest management. With the SB 270 logging plan, wildlife forage may actually decrease. There are no requirements to leave mast producing trees in place (mast is fruits and nuts for wildlife). Some of the most valuable veneer quality trees are also major producers of mast, including oak, walnut, and cherry. Will the cover that grows up to replace our best trees yield as much food for wildlife? Finally, the concern for wildlife management dominated by game species on state park land is misplaced. State parks are the only public lands in West Virginia that don’t allow hunting. When they do it’s only for controlled hunting lotteries because some of them are already overpopulated by deer. WV should focus on creating game habitat on the public land where hunters can pursue game: wildlife management areas and state forests. In the Appalachians, most fires occur in the leaf litter along the forest floor. Mature temperate forest offers conditions less likely to burn into severe wildfires: with less undergrowth the fire can’t leap into the forest crown as easily; with thicker bark mature trees resist fire damage; with more shading and woody debris the forest floor is often cooler and wetter. Logging doesn’t necessarily reduce wildfires and in some instances can raise wildfire risk. The best and most efficient strategy for protecting the public against wildfire is not logging our forests but creating defensible space around our homes and structures. Claims that younger forests grow faster and store more carbon only looks relatively at the trees themselves and not the forest ecosystem as a whole. Carbon sequestration in a forest ecosystem also occurs in the soil and may actually be the largest component of carbon storage. Logging disturbs this soil and speeds decomposition, releasing carbon into the atmosphere. As for the trees, even a slowly growing large tree can still absorb more CO2 than a fast growing small tree. Relative growth rates do not equal absolute absorption. If we don’t log will good timber go to waste? The natural ecosystem doesn’t waste resources. Woody debris breaks down into organic soil. Insects in decaying wood provide food for animals. Fallen trees release their stored nutrients for the next generation of trees. Sometimes they are even called “nurse logs” for the benefit they provide to seedlings. SB 270 allows the removal of up to half the timber per acre, on an unspecified timescale. Without careful management, removing half of the forest from our state parks can disrupt the nutrient recycling that supports healthy new growth. An over-harvested site will exhaust the soil and lose productivity. In many respects West Virginia’s forests are still recovering from widespread clearcutting at the turn of the century with only a hundred years to replace what was lost from the accumulation of thousands or millions of years. Will they log in viewsheds or along streams? 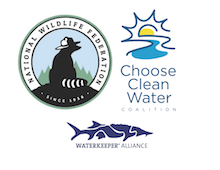 In meetings with conservation groups, DNR and DOF indicated that they would consider certain mitigating actions such as not logging in viewsheds, canyons, or waterways. Those provisions are not included in the bill. Such rulemaking (which the bill says is optional) would follow AFTER it becomes legal to commercially log state parks. We would be relying on a joint DNR-DOF management plan with no guarantee of public input or oversight as the bill is currently written and Governor Justice’s moratorium on new regulations. Additionally, terms like “viewshed” or “waterways” haven’t been defined by DNR. Are they only concerned with the views from cabins and lodges? What about the views from existing hiking trails? Do waterways include intermittent or ephemeral streams? Are there buffers? If DNR and DOF are serious about taking steps to minimize negative impacts to our state parks they should have put appropriate management prescriptions in the bill so they can be publicly discussed and enforced as law instead of offering vague assurances of rulemaking to follow. Could logging roads become trails? In meetings with conservation groups, DNR indicated that logging roads would be reclaimed into hiking and mountain biking trails. However, this is another vague and informal assurance that is not mentioned in SB 270 as a requirement of the management plan. And these trails would not go to desired hiking and biking destinations, but just to where desired trees once were. In the same conversation, DNR indicated that it would take up to ⅓ of the revenue from the commercial timber sale to reclaim the logging roads. This means that there would be ⅓ less money to pay back the bond and more trees will have to be cut and sold overall. The state parks already have an extensive network of trails, we should not have to log our parks in order to pay to reclaim trails that we already have. Could West Virginia lose federal funding for parks? Our state park system was created 80 years ago to preserve natural values and provide outdoor recreation experiences. By introducing commercial logging we risk the future of the Land and Water Conservation Fund (LWCF) for our state parks. The LWCF is a federal program that has given over $7 million to West Virginia for acquisition and upkeep of state parks, so long as public recreation is the priority. 24 of our 37 parks have received federal dollars through LWCF. If we allow commercial logging, West Virginia may be found in violation of a “conversion of use.” If so, the state could end up missing out on any future grant money and West Virginia might even have to buy replacement property. The conservation community agrees that the state parks need more funding but think that SB270 is not the way to get it. Revenue alternatives include increased general appropriations, various user fees or passes, lodging surcharges, specialty license plates, voluntary donation programs, certain sales tax earmarks, deed recording fees, lottery proceeds, and improved partnerships with local governments, businesses, and foundations. We will bring all these ideas to the Governor for further discussion. We won’t dismiss outright any of the game habitat arguments either, but we have specific wildlife management acreage that far exceeds our state park lands. If the Governor or Legislature comes back with a genuine forest health bill that isn’t about generating revenue for bond payments, then we can talk about what’s best for state park forest health. Such a bill would likely have to prohibit timber sales and clearly define limitations, protections, and opportunities for public participation. We would like to see an affirmation that WV state parks are for preservation and dominated by natural succession. If a forest management plan was implemented it should be a public process.